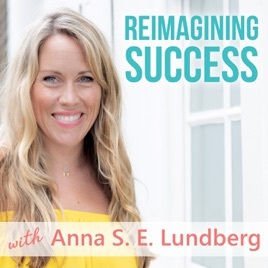 Anna Lundberg is the founder of One Step Outside, where she helps people around the world build businesses and create a lifestyle that allows them an unimagined sense of freedom, flexibility, and fulfillment. Since leaving her corporate job in 2013, she’s now reimagining what success looks like and she’s passionate about inspiring and supporting others to do the same. Every week, you'll be getting a mix of inspirational, thought-provoking episodes and more practical, actionable strategies and tips to help you achieve your personal and professional goals. Just started listening and totally binged on all episodes. The content shared is refreshing and authentic. The best part is (like me) you don’t have to be from the corporate world to get massive value out of her authentic perspective. A MUST! Listen for anyone in the entrepreneurial world. Anna’s podcast is my go to podcast to listen to on my way to work. As a busy professional, she is really good at addressing the right topics at the right time. It’s very inspirational and I highly recommend subscribing to her podcast!